Banks led by BNP Paribas will charge the French dairy group a lower margin on a 2 billion euro credit line if it hits social and environmental targets. Perversely, lenders would gain if Danone drags its feet. But shareholders now have a clear incentive to do the right thing. French dairy group Danone on April 18 reported sales of 6.1 billion euros in the first quarter of the year, a 4.9 percent increase on a like-for-like basis. Analysts had been expecting an increase of 3.9 percent. Sales at the company’s specialised nutrition division, which includes baby food brands such as Aptamil, increased by 14.5 percent to 1.8 billion euros. Danone said that sales of baby formula in China grew by over 50 percent on a like-for-like basis. In February, Danone amended its 2 billion euro syndicated credit facility to include environmental and social criteria, which will in determine the margin that Danone pays on the loan. In March, the company launched a 300 million euro social bond to finance projects with positive social impacts. 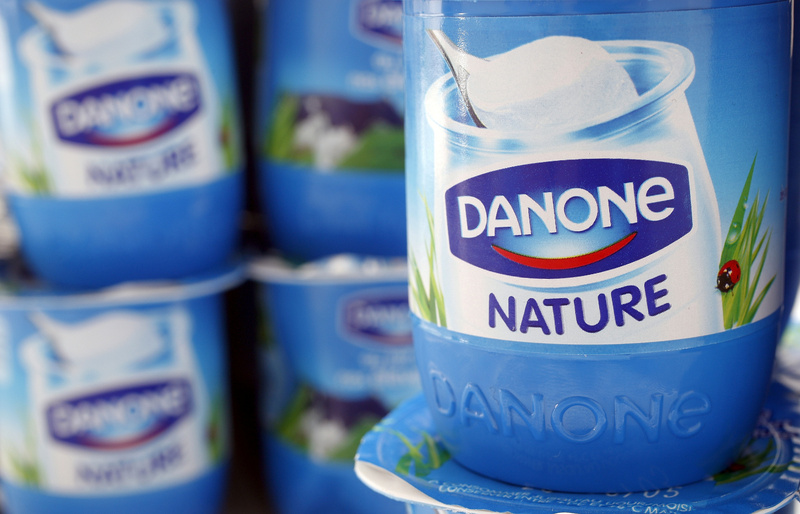 Danone’s shares were up 2.2 percent to 68.1.5 euros by 0750 GMT on April 18.